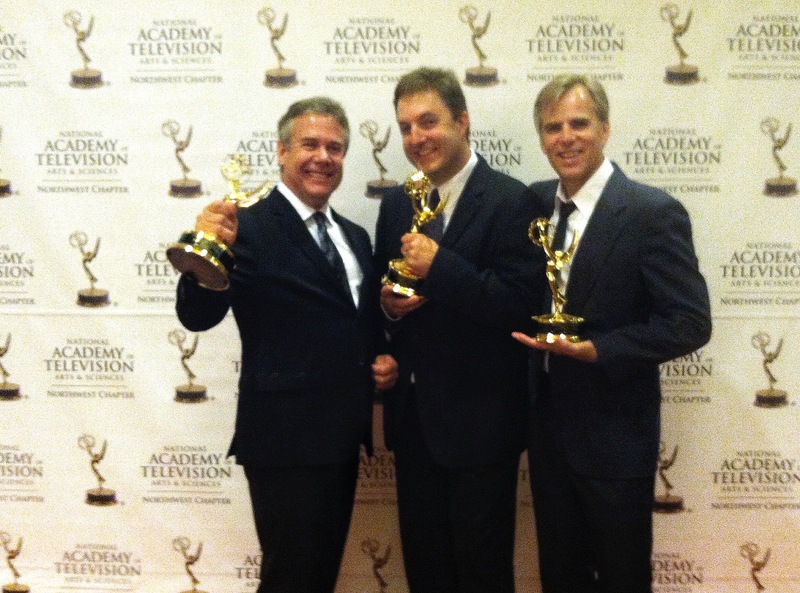 This past weekend we were lucky to celebrate the 52nd Northwest Emmy Awards in Seattle. This event was uniquely special for us not only because of the recognition for The Rocky Mountain Fly Highway, but also because our own photographer/editor, Bill Krumm was inducted into the Silver Circle; an honor for media professionals who have worked in television for at least 25 years and have made a significant contribution to the Northwest Chapter. Celebrating with Bill Krumm, recipient of a 2015 Silver Circle award. Bill has had an impressive 34-year career from his first job at Boise’s KBCI (now KBOI) in 1981 to his work here at Wide Eye. Those years in between were highlighted with the KBCI documentary, Wake Island, Forgotten Heroes Remembered, and KTVB’s wildlife and scenic magazine show, Incredible Idaho, which turned into a spin-off program, Exploring Idaho. In 1996 Bill returned to daily news as KTVB’s chief photographer and was listed as an NPPA Region 9 top ten photographer in 1998. He was part of a field crew that received a national Edward R. Murrow award for spot news coverage in 2004. Bill even spent a portion of his career teaching broadcast journalism at the middle school level. Celebrations continued as The Rocky Mountain Fly Highway won in the categories of Best Documentary-Cultural, and Program Length Photography. Awards were received by Jennifer Isenhart (Producer), Tom Hadzor (Director/Photographer), Kevin Eslinger (Photographer/Editor), and Bill Krumm (Photographer/Editor). Writer, Tim Woodward, and Narrator, Tom Skerritt, were not in attendance, but they were recognized and thanked for their talent and contributions to the film. 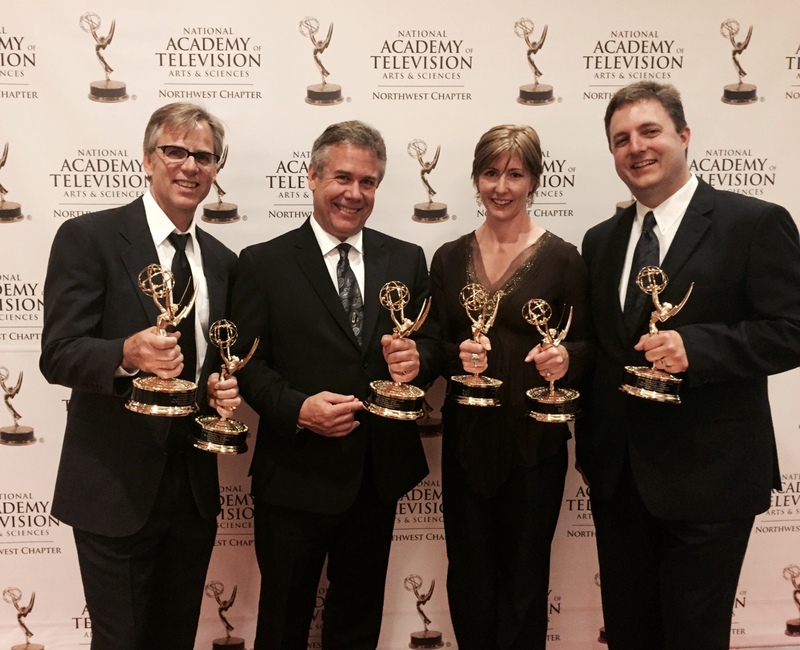 Tom Hadzor, Bill Krumm, Jennifer Isenhart and Kevin Eslinger take home the Emmy for best Documentary – Cultural for The Rocky Mountain Fly Highway. The greatest value of these events is witnessing the incredible work coming out of the Northwest, and Idaho specifically. We saw our surrounding broadcast stations nominated over and over again throughout the evening. 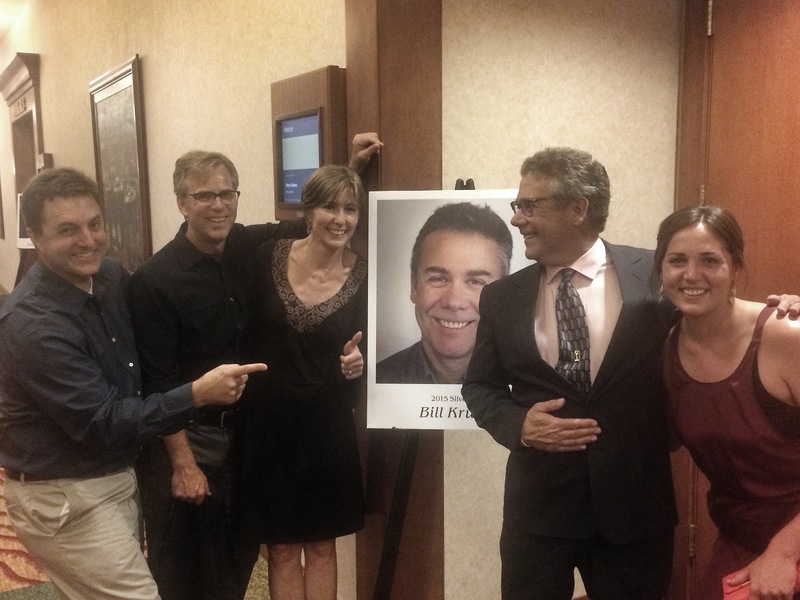 It was the ultimate affirmation that Idaho is not only on par with major networks in larger cities, but often setting the standard for broadcast journalism in the Northwest. A reoccurring theme addressed by the speakers and recipients was how media professionals are adapting to changes in news consumption and technology. This is a vital conversation to be had now more than ever. As an independent production company, we have the luxury to take the time to tell stories how we want and work with different methods of visual styles, personal narratives, and online delivery. Our director of photography, Tom Hadzor, and producer, Jen Isenhart make sure that we have to most up-to-date tools and programs to keep up with the constantly changing landscape of digital production, inlcuding 4K format, and managing complex workflows in post. All three photographers embrace these advancements and learn the ins and outs of every piece of equipment, often months before they’re even released. This meticulousness and drive resonates through the images they create; evidenced by their recognition for photography here at the regional level. And of course, no documentary really exists without its viewers, so thanks to everyone who supported The Rocky Mountain Fly Highway all along the way! Bill Krumm, Kevin Eslinger and Tom Hadzor were chosen from an impressive field of NW photographers for best Program Length Photography at this year’s regional Emmy Awards. Loved it all—Bill’s video, the Awards, you guys with fistfuls of Emmys and Idaho’s ascendancy in the creative and cultural arts, lead by Wide Eye. Wow! Congratulations—you worked hard and earned this, every bit of it.